The Bollinger BandWidth is the numerical difference between the value of the upper Bollinger Band and the lower Bollinger Band. As volatility increases and the Bollinger Bands get wider, the BandWidth indicator value will increase. 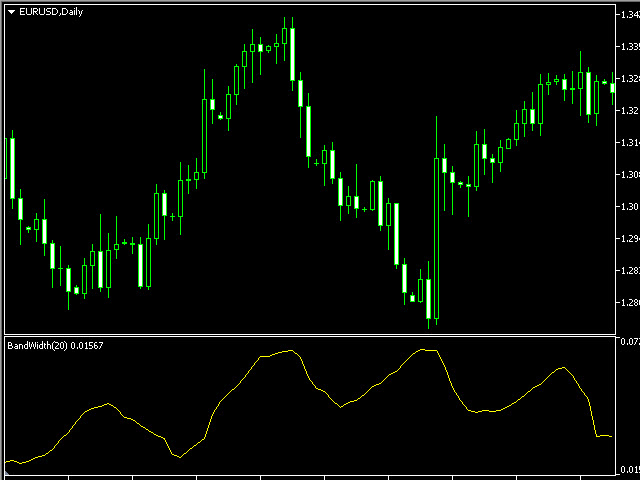 As volatility decreases and the Bollinger Bands get closer, the BandWidth indicator value will decrease. 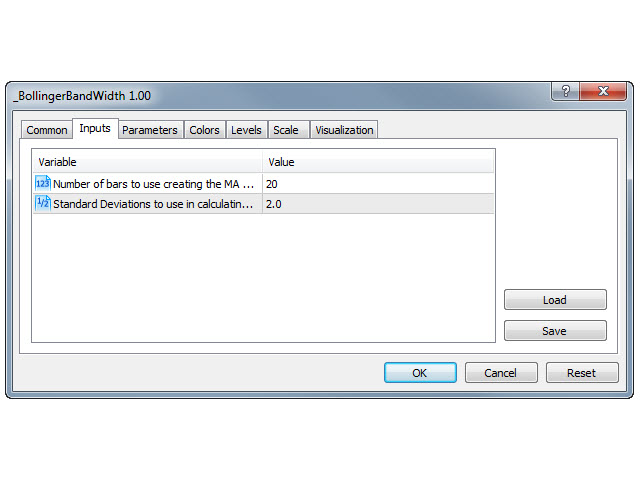 The BandWidth indicator helps show volatility as it increases and decreases. 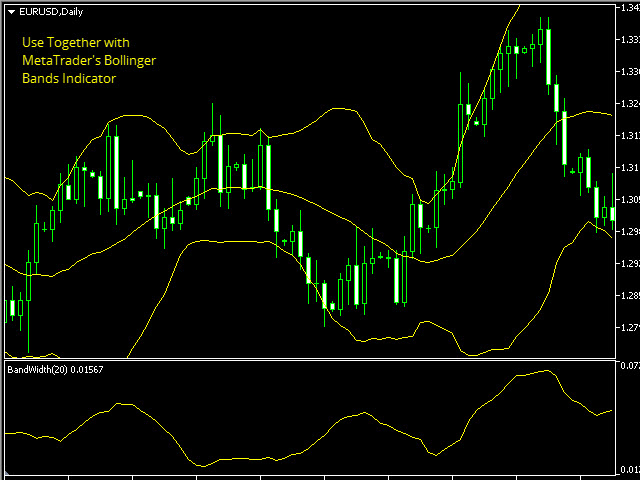 Typical use is to find times of low volatility that start to breakout as the price moves to one Bollinger Band. If volatility continues to increase and the price stays on one band, it can signal a trend as the Bollinger Bands get wider.